Revisit the dazzling world of a French cabaret through the Burlesque console. 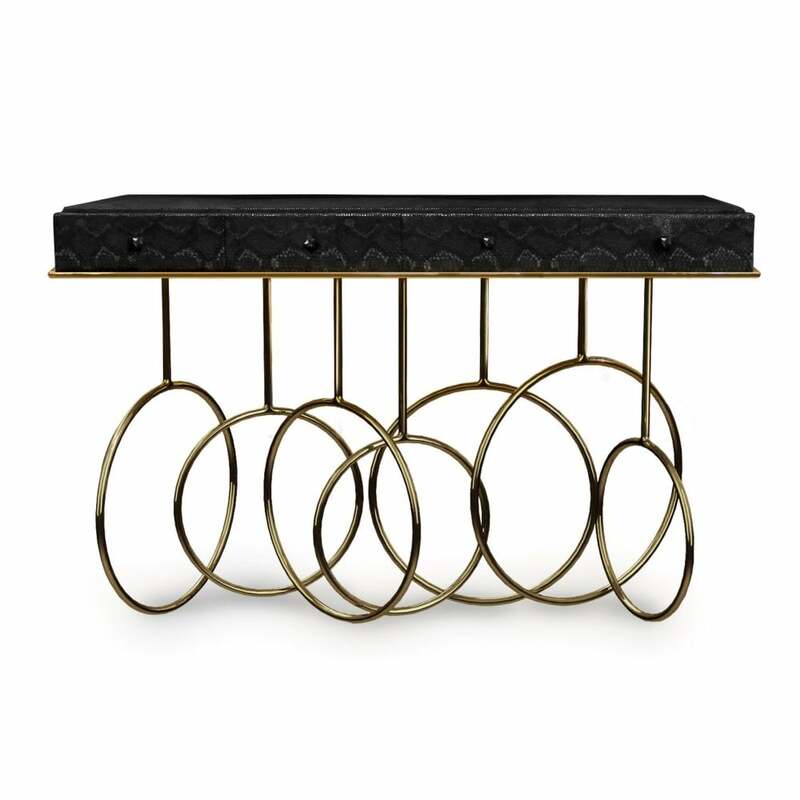 Its acrobatic loops & spins paired with exotic skins and a black crystal on each one of the 4 drawers exude the mysterious traits of a feisty diva. Top: Black embossed cobra low pile velvet (or COM-POA). Base: Polished brass or stainless steel.